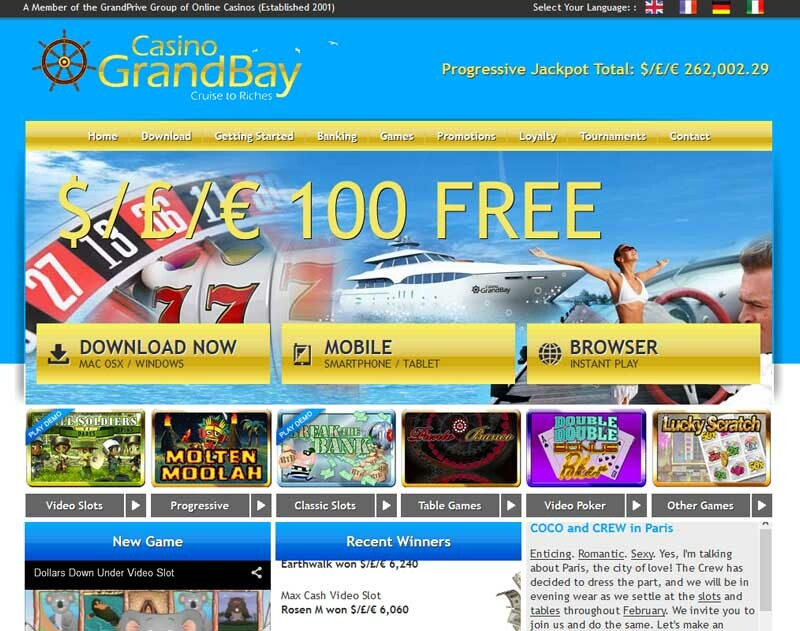 The Grand Bay is an online casino that serves as a safe haven for all those entitled to the popular gambling activities. Anyone willing to join is more than welcome to try all the fantastic games that await at the lobby. The website has a pleasant design with graphics that resemble some kind of a sea port theme so expect to encounter much of the blue color. You may already know this, but the platform is being powered by the BetOnSoft studions, which makes the casino full of gaming items that are available on the go. The software is fully downloadable so if you want to enjoy any of the given titles you will have to install the client on your computer. There is also a full roster of the products where you may find anything of interest to you, so fee free to browse it at any time. The website uses only the most advance techniques of protection to approve any type of security being provided to guard the users from unwanted presence. Although the games come from a trusted source, there is an additional system that ensures that every single outcome will generate fair results at all times. The players can get plenty of attractions from the promotional section of the casino, including bonuses for their first deposits that will boost any account to much bigger proportions. 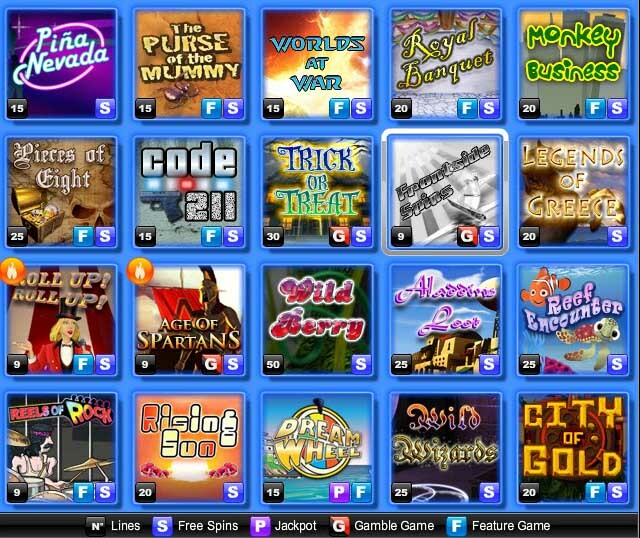 Although many games are being actually supplied to the site, most of them consist of the popular genre of slots that are the Fruit Machines. In the whole collection, you may find the Slot Games being the dominating part of the general offer. This may prove somehow problematic for those that expected something else in return, like other types of games for instance. Yet, there still are the very popular Table Games, even though neglected they still provide the standard selection of European Roulette, Vegas Strip Roulette, European Blackjack, Baccarat, Blackjack and other similar variants. 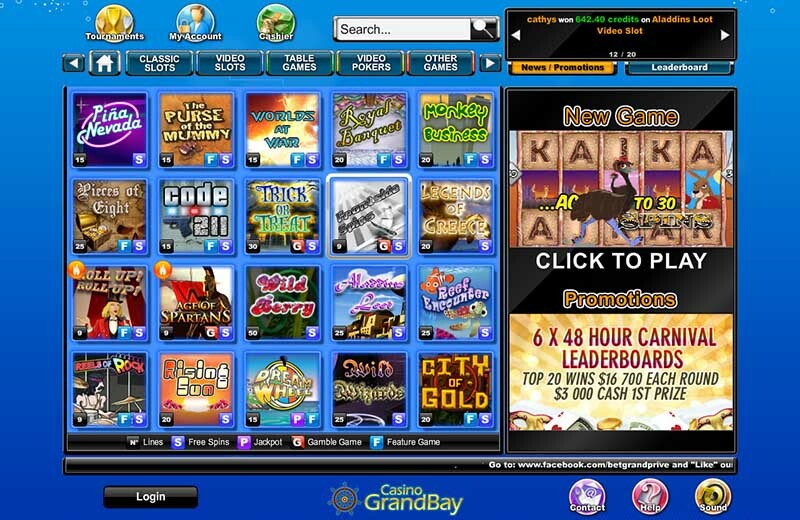 Even though these games are the essence of any kind of casino, there is not much information on any of them in the data section of the website. The fans of Slot Games can have their kind of entertainment as there are still the popular games they favor. However, be advised to play in the fun mode as the financial part of the casino may stir some troubles at times. The customer support can be contacted by phone, e-mail or live chat. Accepted banking options are Direct Bank Transfer, UseMyBank, Visa, Wire Transfer, Skrill-Moneybookers, eCheck, MasterCard, InstaDebit, PaySpark, EntroPay, Citadel, Ukash, Diners, Neteller, Click2Pay, ecoPayz. The usable currencies include U.S. Dollars, U.K. Pounds, Canadian Dollars, Euros. Available language version is English.